TNBBC is breaking new ground today! 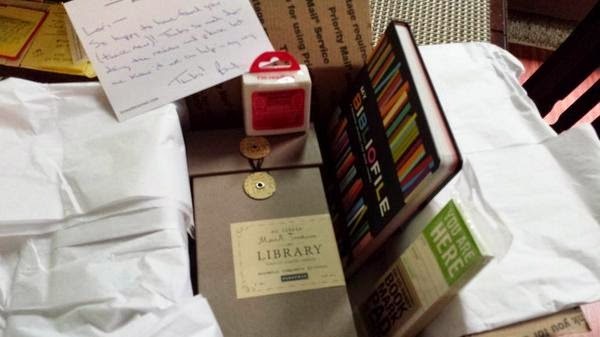 We're reviewing some bookish goodies that were sent to us from GoneReading.com. Founded back in 2011, Gone Reading's mission is to sell book lovers brilliant products that will enhance their reading life. And they pledge to donate 100% of their after-tax profits to literary charities like Read Global and Ethiopia Reads. First thing I love about these - the color! I am such a fan of green. Especially lime green. 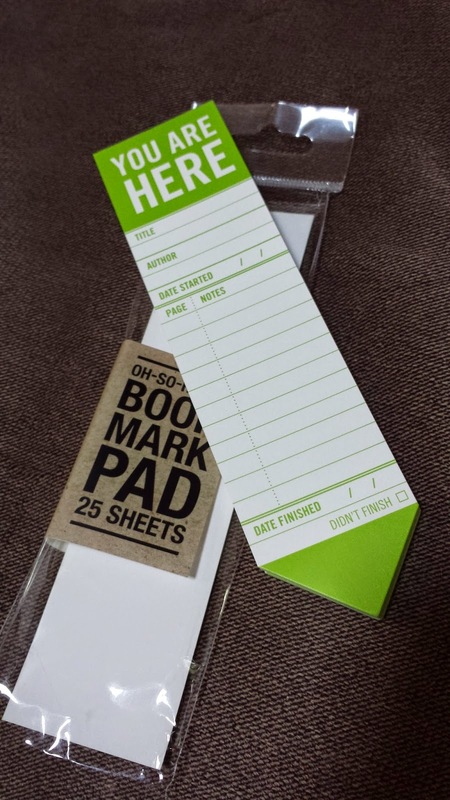 These book marks are made of a sturdy material and would be a great gift for people who take notes or use stickies to mark pages as they read. The YOU ARE HERE book mark has a spot for you to write the title, author, date started, date finished, and a section in the middle to mark specific pages - with a tiny area for you to make a note about why you're flagging that page. Everything you'd need to know or remember about the book AFTER you've read it. Ok, it's kind of obvious. One book mark per book. They're not exactly re-usable once you write on them. And oh, you totally can't use them for audiobooks or ebooks (which are the two formats I'm currently reading in) Booooo.... 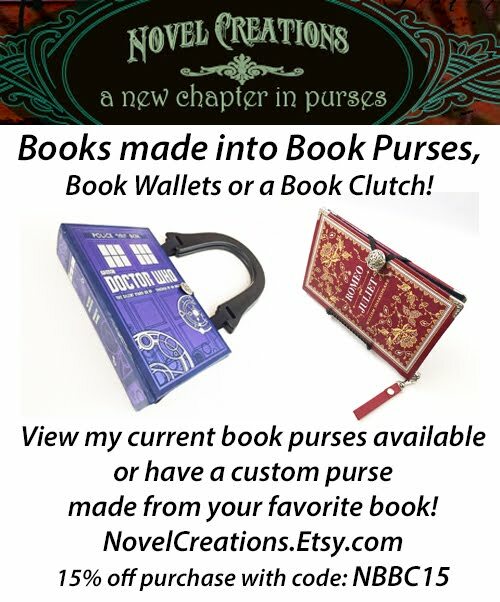 So while I'm not able to put one into use yet, I definitely will once I get started on an old-fashioned-print book! Your choice of hot pink, arctic white, or charcoal. 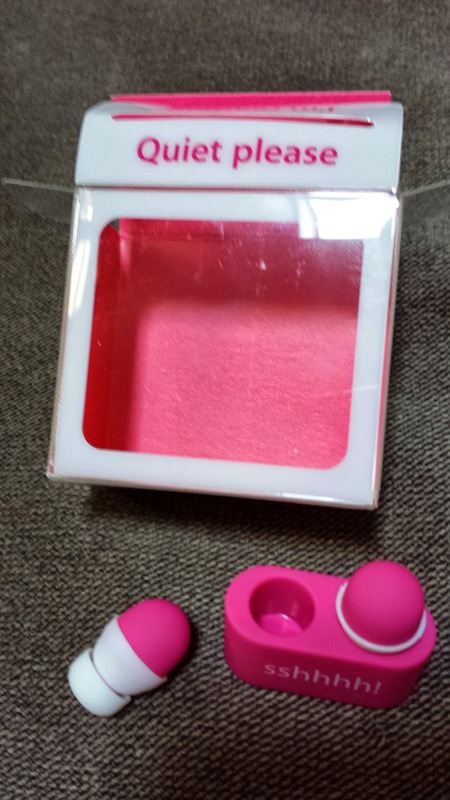 Made of soft-touch hypoallergenic silicone, they kind of smell like those big pink erasers you bought when you were in grade school (yeah, I totally smelled them, like YOU wouldn't, pshhh!). They come in a cute little plastic holder so you don't loose them. Such a big price for such a little thing. Two wads of cotton would be cheaper and would probably be easier to pull out of your earholes. These things scare me. I won't test them. What if I push them in too far and can't get them back out again? Is there an emergency release button? Don't laugh. I can hear you snickering over there. 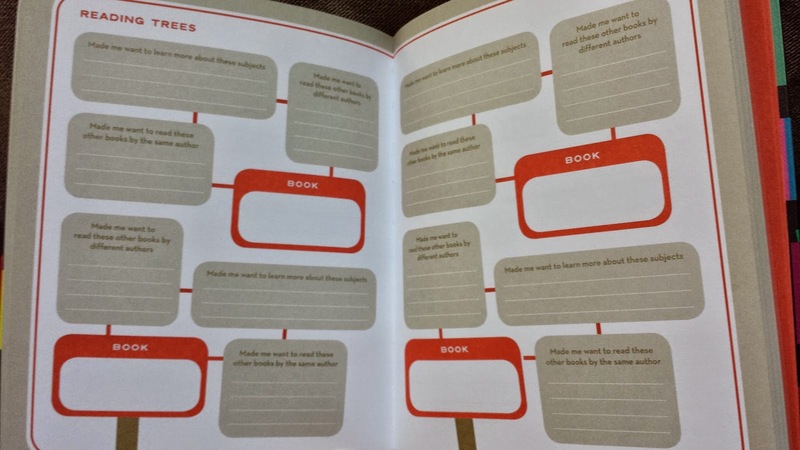 160 lined pages for you to write down your bookish thoughts as you read each book, with some fun "extra" pages mixed in (like the "reading trees" shown above). Sturdy hardcover to withstand your constant and abusive use. It's a great way to capture your thoughts as you read each book. Perfect gift for those who like to log what they read, and with 160 pages, you'd only need to purchase one to log what you read all year, so well worth the price. 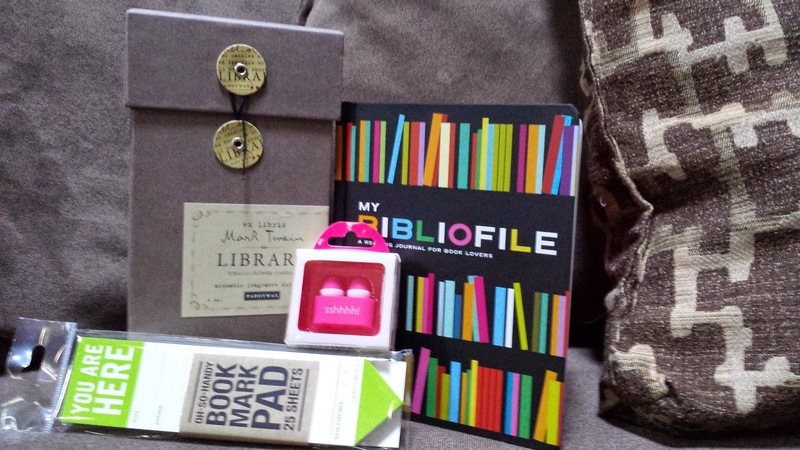 It's got some cute "extras", like a place to note all of the author readings you've attended, a section to keep track of the books you've loaned out, and a few pages to write out your favorite book quotes. I'm not finding any cons, other than the fact that I'm not a book journal kinda girl and wouldn't immediately use it myself. Guess I could use in the event Goodreads goes down for maintenance and never comes back up again?! 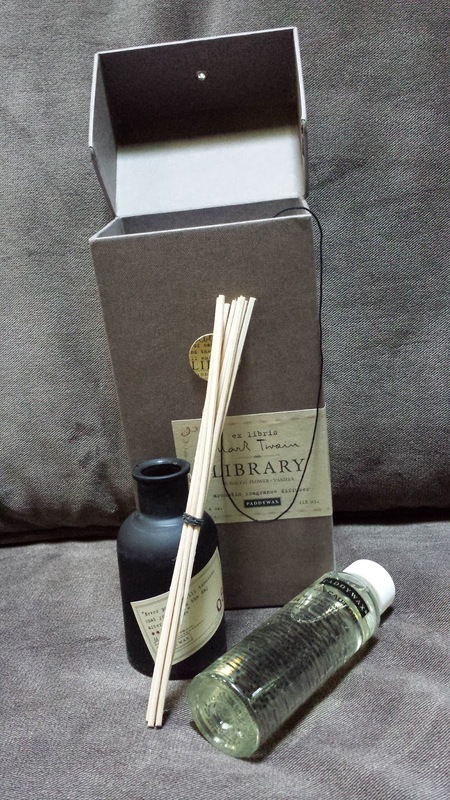 Packaged in a book-cloth covered box, and marked with foil stamp labels, this diffuser set is absolutely gorgeous. Comes with tobacco flower and vanilla scented oil, reeds, and a 4 oz bottle/vessel. Claims that fragrance will last up to 4 months. The smell... the smell is AMAZING. All I did was open the oil and now I can't sniffing my hands! The packaging is beautiful. I brought this to work with me, and have already had people pop their head into my office asking what it was and where they could get some. (I had two small diffuser kits in the house that ran out of oil loooong ago, so I wet the bottom with some of this stuff, too.) If you don't dig Mark Twain, they also have it in Jane Austin, Oscar Wilde, and Edgar Allen Poe. So yay for choices!And everyone loves to make their rooms smell good so it'd make a great gift. What? Seriously? There are none. Go buy yourself one now. Your welcome. Those ear plugs are kind of similar to the ones you wear when you're playing drums. It's possible to get them out, unless you have long street tunnels for ear holes. lol. I really like that journal! 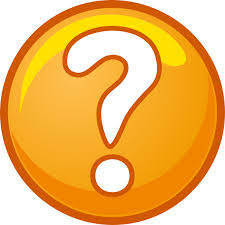 Do you think it would be useful during the reviewing process (as in taking notes while reading a book you're going to review)?